Disney On Ice presents Dare to Dream - Discount Code & Giveaway! I mentioned the other day that buying tickets to a show was a holiday gift that I enjoy giving. Here is an example of a show that would definitely be gift-worthy for the Princess in your life. 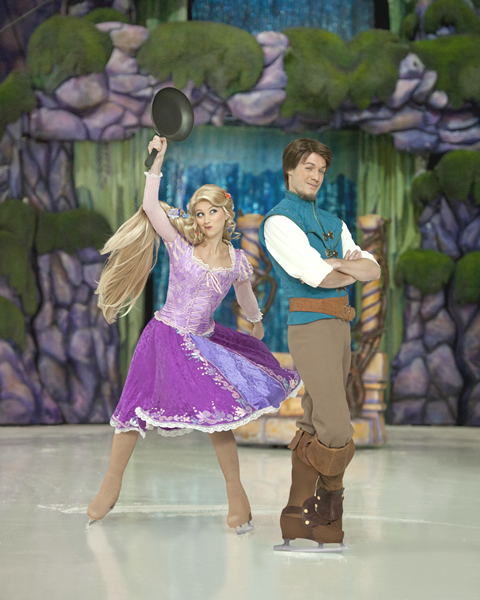 Disney On Ice presents Dare to Dream is coming to Cleveland in January. 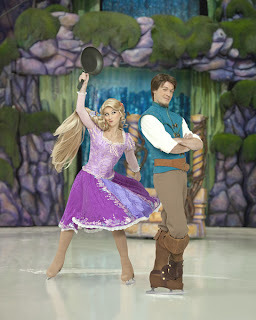 "Get tangled up in the newest thrilling show to hit the ice, Disney On Ice presents Dare to Dream. Experience Disney’s hilarious hair-raising escapade, Tangled; as Rapunzel, her unlikely companion, Flynn, and Maximus, embark on an uproarious journey that takes adventure to new lengths! Boogie to the beat of the bayou with Princess Tiana and Prince Naveen from The Princess and the Frog, in a magical, musical journey that all begins with a fateful kiss. And fanciful dreams become reality as Cinderella meets her Prince Charming, with a glass slipper fit for an unforgettable fantasy come true. All your favorite princesses take to the ice in a spectacular finale at the ultimate Disney Princess event of a lifetime! Experience the beauty, sparkle, and spirit when Disney On Ice presents Dare to Dream comes to your hometown!" No compensation was received for this post. As a Feld Family Blogger, my family is given the opportunity to see the show. The tickets for my family, the giveaway and the information about the show and discounts were provided by Feld Entertainment. My daughter's first favourite princess was Mulan, and we were quite happy with that! My son is currently obsessed with Rapunzel.